Our office is proud to use CEREC® technology, one of most innovative dental technologies to ever emerge. This amazing dental computer allows us to perfectly match fillings, veneers and crowns to your natural tooth color and restore your teeth to their original appearance and strength. 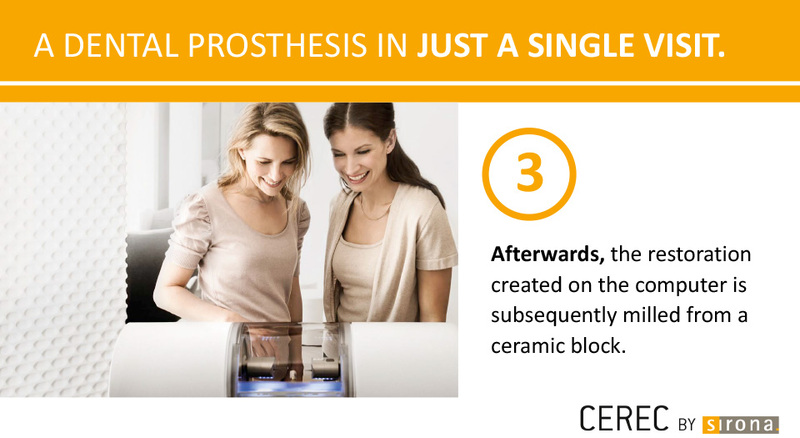 Using CEREC®, we’re able to place your permanent, all ceramic crown, onlay or veneer immediately – no temporary solutions! Say goodbye to biting on impression material for several minutes, having a numb mouth and jaw ache. 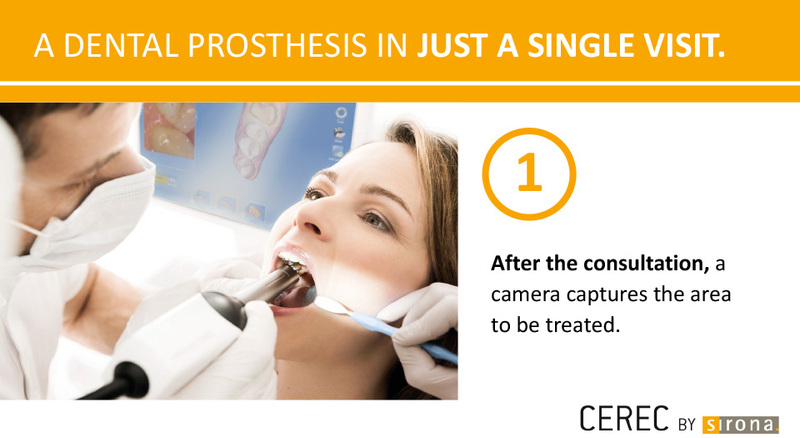 With CEREC®, we can perfectly capture your full dentition in seconds and then transfer this to the computer. 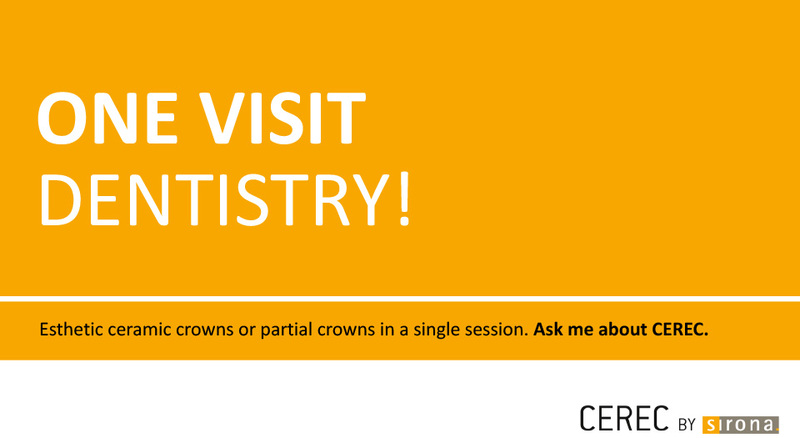 No more temporary crowns or multiple visits to the dentist's office. It only takes one appointment to receive natural-looking fillings, crowns and veneers, and we can usually create each piece in as little as an hour, eliminating weeks of time waiting for your restorations! You get the care you need without having to schedule multiple visits for impressions, fittings and placement. 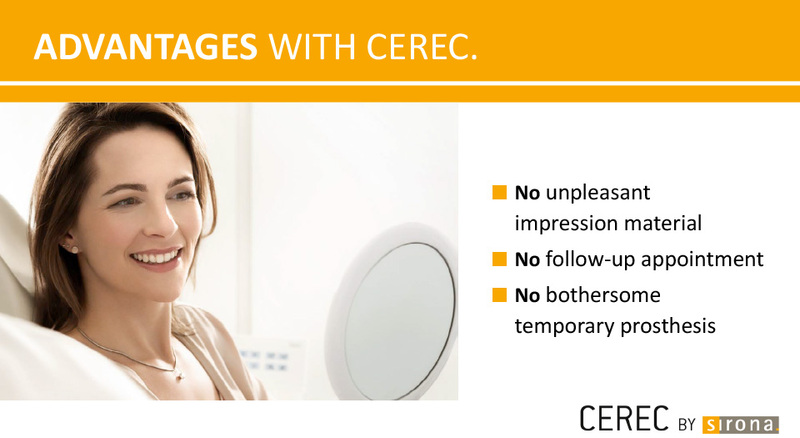 Click the image below to learn more about CEREC. 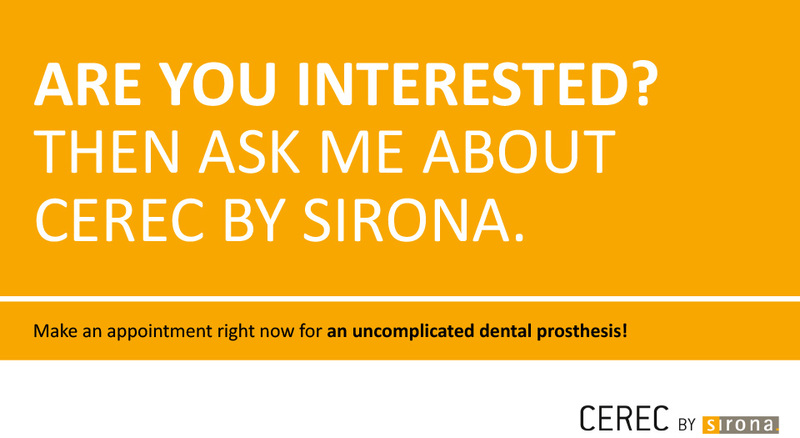 CEREC® (Chairside Economical Restoration of Esthetic Ceramics) is a specialized computer system developed by Sirona for creating dental restorations, such as crowns, onlays and veneers. 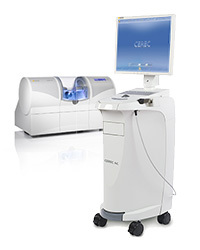 For more than 30 years, CEREC® technology has been the leader in CAD/CAM (computer-aided design and computer-aided manufacturing) dentistry. Your dentist takes a digital impression of your mouth from one or more scans (they may use any combination of intraoral camera, X-rays or CT scans), and creates a virtual 3D model of your teeth and gums. Using this model, your dentist will design a restoration perfectly suited to your mouth right at your chairside. Once the restoration is designed, it is sent to a milling device in the office, where it is manufactured with unparalleled precision from a perfectly color-matched ceramic block in a matter of minutes. Once completed, your dentist can immediately place the restoration in your mouth and put on the finishing touches. CEREC® technology allows your dentist to design, manufactured and place your restoration in a single visit, instead of the multiple visits necessary using other methods. 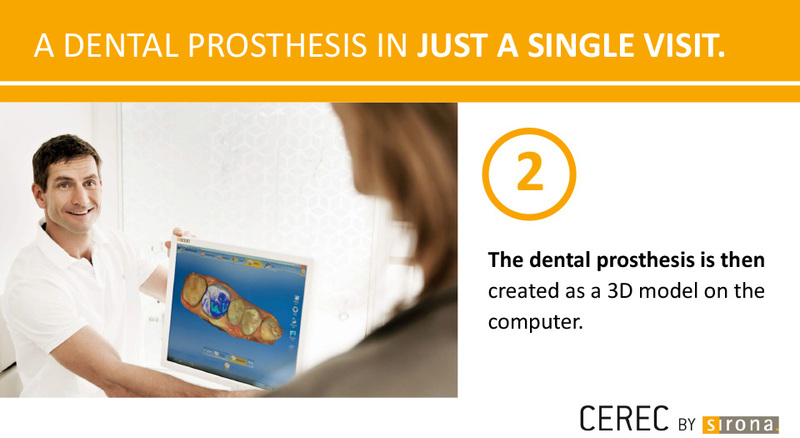 The digital mapping features of CEREC® also eliminate the need for messy, uncomfortable physical impressions and allow for even greater precision in the manufacture of your restoration. Unlike other materials often used in restorations, like amalgam or gold, the translucent ceramic used in CEREC® restorations look just like your natural teeth, is more resistant to wear and is very well tolerated, virtually eliminating the risk of allergic reaction.